The Youth Empowerment Project (YEP) is New Orleans’ most comprehensive and established agency working with at-risk, court-involved and out-of-school youth. 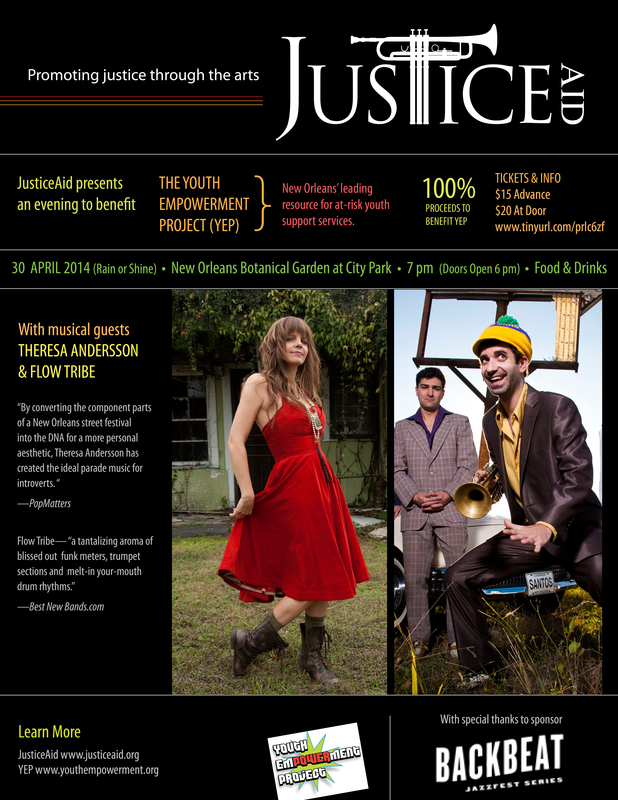 To stir up support and awareness for YEP, JusticeAid hosted Jazz Fest favorite Theresa Andersson and NOLA locals Flow Tribe on Wednesday, April 30th, at the New Orleans Botanical Garden at City Park. YEP received 100 percent of ticket sales.